Year after year, the Honda Civic remains one of the most popular options for the road – thanks to its fuel-efficient performance, modern style, and cutting-edge technology. So whether you buy a brand new edition or a pre-owned model, you’re in for one fantastic ride. In this guide, we’ll detail Honda Civic history from its humble beginnings to its tech-savvy future. The very first Honda Civic models arrived on the market in 1972, and it made quite an impression. The Civic was named the Japanese Car of the Year from 1972 until 1974 and its popularity led to a rapid expansion of the lineup within the next decade. 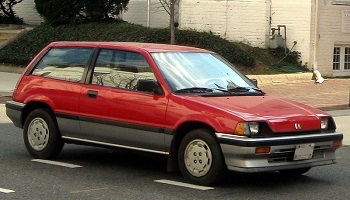 First Generation: The first Honda Civic models were available as two-door coupes, three-door hatchbacks, five-door hatchbacks, and station wagons – all running on either unleaded or leaded fuel. Second Generation: The second generation was supersized with bigger dimensions and greater performance. Transmission choices also expanded to four- and five-speed manual options and a two-speed semi-automatic. 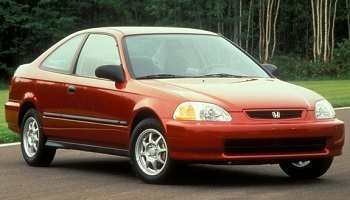 Third Generation: The debut of the Honda Civic Shuttle and the four-wheel drive engine gave drivers even more options for a high-quality ride. At this point in Honda Civic history, the model had already gained worldwide popularity – so what was next? Rather than play it safe, Honda began to carve out its own niche for the brand and took big steps toward a greener future. Efficiency and safety were top priorities, and drivers were thrilled by new trim level options. Fourth Generation: This model was the largest yet for more interior comfort, and the fully-independent rear suspension created a more comfortable driving experience as well. Fifth Generation: The Honda Civic wagon became a Japanese-only exclusive, departing from the U.S. market! Sixth Generation: Design tweaks enhanced style and aerodynamics, and the 1.6L I-4 engine became the new standard. 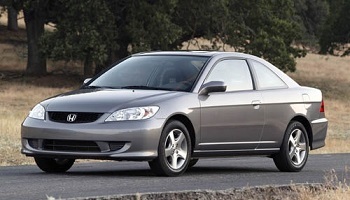 As the Honda Civic moved into the 2000s, the brand made bolder design choices with more aggressive specs – while still retaining its commitment to safety, efficiency, and technology. Seventh Generation: Newly classified as a “compact car”, this generation received a MacPherson strut suspension. Eight Generation: Coupes and sedans received separate platforms, and the arrival of the Civic Si struck a chord with sporty drivers. Ninth Generation: Eco Assist was introduced to create more efficient drivers utilizing cutting-edge technology. Tenth Generation: The Civic received a stylish makeover, and the state-of-the-art Honda Sensing® safety system became standard. Whether you’re considering a 2019 Honda Civic LX , or want to see how it compares to the new Honda Accord, Walla Walla Valley Honda is here to help. Visit us near Tri-Cities or contact us today!